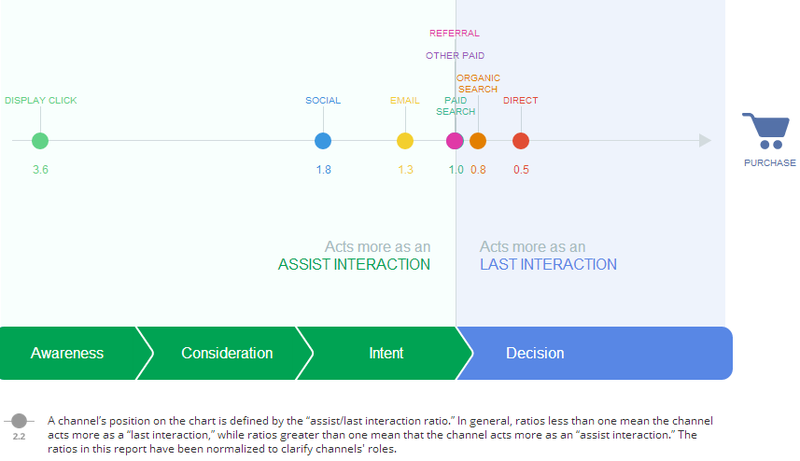 How does Google influence the retail customer journey? Google has a big impact on the retail shopping journey, both online and off. I’ve previously written about the smartphone customer journey, but given increases in Android market share, retail sales, the proportion of retail sales online, and mobile sales, I thought I should take another look. So, how does the customer interact with Google services in the course of her journey to purchase? Be prepared for a stat-fest, from search to mobile, YouTube to in-store. Online sales are only getting more important. Here are some stats to prove it. Forrester estimates that more than 50% of U.S. offline retail sales will be influenced by the web by 2017. That’s $1.8tn in store sales influenced by online. In Q1 2014, US ecommerce revenue was up 11% over Q1 2013, and orders were up 13% according to the US Dept. of Commerce. At the end of 2013, the share of online sales out of all retail sales in the US was 6%, up from 5% in 2012. In 2013, ecommerce in the US grew by 16.9% over the previous year, while total retail only grew by 4.2%. As online sales become a greater percentage of total retails sales, so too does mobile take a bigger proportion of online sales. Mobile commerce (includes tablets) continues to grow in 2014, from 13.7% to 18.5% of total online orders in the US. Looking at online sales only, Google Insights shows how the path to purchase is influenced by various marketing channels online in the US. You can see that organic search and paid search feature very prominently as the last interaction before purchase, eclipsed only by people going direct. Google’s display network is less directly involved, being useful for awareness rather than driving action. Obviously, this is Google’s core product and still influences online shopping more than pretty much anything else. Search began almost 44% of all US ecommerce transactions in Q1 2014 according to the Custora report referenced earlier. 24% originated in organic search queries, and 20% in paid search ads. Google has around 75% of paid search share and 67% of total search share in the US. Android is enjoying around half of device market share globally, depending on which figures you look at. It lags behind looking at sales made on these devices versus iOS, but the disparity is getting smaller. iOS devices take close to 80% of US mobile orders but Android devices are gaining share, with 21.5% of orders in the Q1 2014, up from 17.1% in 2013. It’s important and it happens a lot. Google and Ipsos Media research shows that local searches are commonplace. Four in five smartphone users have used search to find products, services or experiences nearby. Respondents (a sample of 4,500 smartphone users) said they searched for local information on their computer or tablet in a variety of places, including at home (76%) and at work (24%). On smartphones they searched at home (53%), on the go (51%) and in stores and malls (41%) amongst other places. And when consumers are outside of the home, the majority of their smartphone searches are local (56%), as are 51% of those done in-store. Local search is a good indicator of intent to shop, with 34% of consumers who sought local information on their computer or tablet making their way to a store within a day. For smartphone searchers the figure is higher at 50%. Once in-store, they continue to search locally. A greater percentage of local searches lead to a purchase within a day versus non-local searches (18% vs. 7%). Consumers wishing to research products in store are much more likely to choose search (which Google dominates on mobile) than, for example, a retail app. Of course, Google maps, click-to-call from search and perhaps increasingly Google Wallet, all these influence retail sales. Mobile plays a part in a variety of activities prior to shopping, including price comparison, product availability and finding promotion offers. It therefore follows that a retailer’s mobile search strategy should take these intentions into account. Google has also commissioned a meta-analysis of paid search ad experiments with 13 top U.S. retailers, conducted by Applied Predictive Technologies. This research points to search ads driving incremental offline sales. The methodology shows that this is fairly high budget stuff, with retailers having an average of 1,115 stores and spending an average incremental $287,031 on search ad budget. Some of this uplift of offline sales may be attributable to increased brand awareness and having nto read the whole study I can’t say what other variables weren’t controlled for. However, the channel shows decent sales return for retailers and is still a major tactic for retailers wanting to sell branded items. One participating retailer invested $466K in search ads over a six-week period and saw an in-store sales increase of $5.6 million. Google Shopping and its product listing ads is obviously a factor in paid search, too. The Top 500 Brands on YouTube have grown their average monthly views by 70% in 2013. It’s obviously represents a sizable chunk of media consumption for many people, especially generation Y. And Youtube influences purchase, according to a Google TNS study. Again this is very much about brand awareness, but it still plays a part in retail. The stats below show how YouTube trumps TV for respondents that admit to being influenced when buying beauty products, smartphones and cars. YouTube, because it is completely on-demand, may be seen as more of a learning and research tool than TV. Google has sold the device in a retail setting for the first time (at a golf event). Is this the next level of Google’s influence on the retail customer journey? Maybe, but perhaps Amazon will be the big tech company most likely to further disrupt the retail space (it’s arguably done so as much as Google, thus far), with its Amazon Dash product. Reports suggest Google will soon open a store in New York, allowing it to push hardware more, in the style of Apple. If this leads to more Chromebooks and possibly Glass on the market (admittedly, many more stores would be needed, but you can see this development doing a lot for brand awareness of hardware), maybe Google will become a pretty powerful retailer in its own right. Here’s the latest US stats we’ve seen around the web. Intrigue is provided by native advertising, Alibaba hype, Twitter ads, newspapers and our obsession with our phones. Get stuck in. And make sure you take a look at the Econsultancy Internet Statistics Compendium for more stats. What makes for a lovely experience on a mobile commerce site? Mobile is undergoing big change and still in the area of design testing and optimisation. Companies, although finally on board with the idea of the smartphone as assisting sales and driving footfall in store, are of course trying to increase conversion and checkout on the mobile itself. Mobile is massive for the gambling industry, and will become ever more important in the coming years. According to their respective investor reports, Gala Bingo’s mobile penetration has increased from 18% to 45% in just one year, while mobile gaming now represents 35% of Paddy Power’s and and 27% of William Hill’s online revenues. For those brands hoping to grab a bigger slice of this mobile gaming growth, user experience is all important, which is where our Improving Mobile Casino Performance report comes in.